The United Nations Youth Delegate Programme was created in 1980s with the intention of empowering youth and including them in global decision-making processes. Since then, Member States have been sending youth representatives to various UN bodies. In 1995, the World Programme of Action for Youth (A/Res/50/81) adopted a clause inviting Member States „once again, to include, whenever possible, youth representatives in their delegations to the General Assembly and other meetings of relevant United Nations bodies, with a view to stimulating the participation of young women and men in the implementation of the Programme of Action”. Ever since, participation in the programme has been growing. Youth Delegates primarily represent their respective country's youth at relevant sessions of the United Nations as "spokespersons", however the scope of their activities extend far beyond that. They raise awareness on youth-related issues, offer counsel to governments and work on establishing youth cooperations with each other. Youth Delegates also play a key role in promoting and introducing main principles adopted by the UN, such as sustainability, to the youth of the world. They often offer practical advice to young people seeking help in running or launching UN-related youth projects too. The delegates are also known as lobbyists for youth rights and interests, such as the inclusion of young people in decision-making processes. They are just like You — feel free to reach out to them if you have any questions or ideas! Ms Ágnes Szuda was selected to serve as a Youth Delegate of Hungary to the United Nations in 2017. 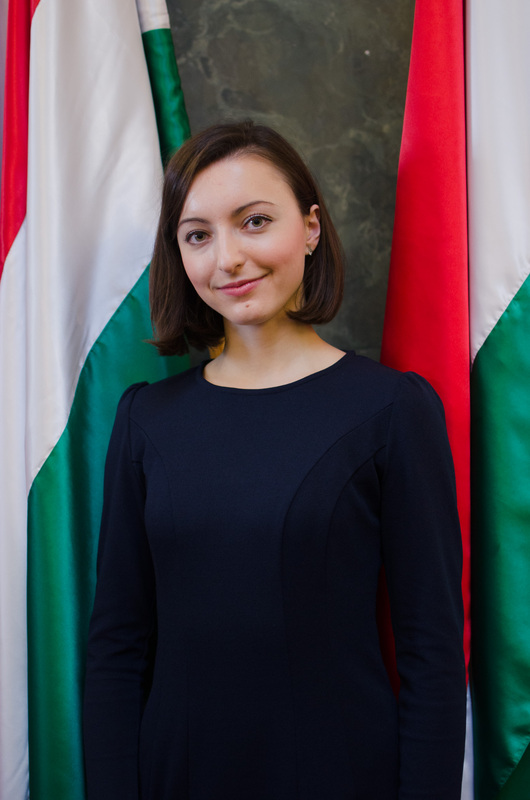 She will represent the young people of Hungary in the Third Committee of the UN General Assembly in October 2018 and the ECOSOC Youth Forum in February 2019. Ágnes graduated in 2017 from the University of Cambridge with a degree in Geography. She started to work on youth policy as a social research summer intern at the Cabinet Office, London and she conducted research on the UN’s Sustainable Development Goals as the World Health Organization’s intern in Geneva. Following her experience in the public sector, she worked on improving gender equality, human rights and environmental strategies in the private sector as a corporate responsibility consultant intern at Carnstone Partners LLP. She represented Hungary as the Captain of the Hungarian Team at the National Geographic World Championship and won a silver and a bronze medal for Hungary at the International Geography Olympiad in 2013 and 2014. Dedicated to building strong communities, she worked as an Events Officer of the Cambridge University Hungarian Society strengthening the Hungarian student community and promoting cultural understanding between Hungarians and various nations. As a Youth Delegate of Hungary to the UN, she is committed to building a bridge between young people, decision-makers and the United Nations. She aims to catalyse positive change through her activities and build international cooperation for a brighter future. Mr András Volom, the first Youth Delegate of Hungary to the United Nations held the position between 2016 and 2017. He is the founder of the Hungarian UN Youth Delegate Programme. 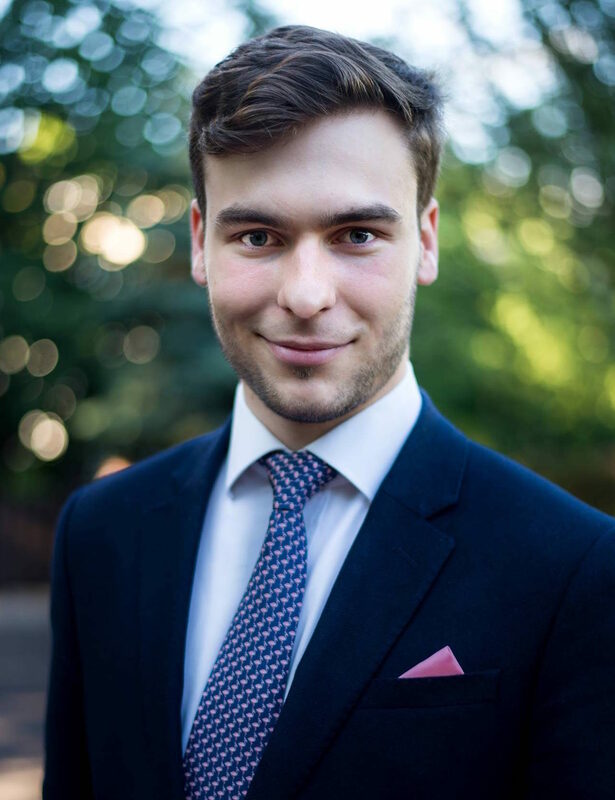 András is a student of International Relations at the War Studies Department of King’s College London. An outspoken advocate of youth empowerment and global cooperation, András has worked on and managed initiatives aimed at enhancing young people’s capacity to take part in decision-making and influence the course of the future. Currently, he leads the founding of a youth-led NGO, Holnap, which will provide a platform and guidance for changemakers (aged 17-24) in launching projects strengthening sustainability. Simultaneously, he acts as the president of two university societies and is a prominent figure of Hungarian student cooperation in the UK. In 2015 October, he participated in the 9th UNESCO Youth Forum as an independent representative and peer-facilitator. From 2012 to 2014 he helped the work of the Organising Committee of the 2nd Youth Olympic Games as a Junior Consultant. He has also been an active contributor to the global Model United Nations circuit since 2011, teaching students in South Korea and Hungary, attending and chairing at conferences from Tel Aviv to Cambridge and serving as the Secretary-General of Budapest International Model United Nations in 2015. András looks forward to working and cooperating with other youth delegates at the UN and is also eager to set up the Hungarian pillar of the programme. He is happy to provide guidance to anyone willing to start a UN-related youth initiative. Questions or ideas? — Proposals for cooperation? — Willing to learn more about the programme? — Choose from the options below.